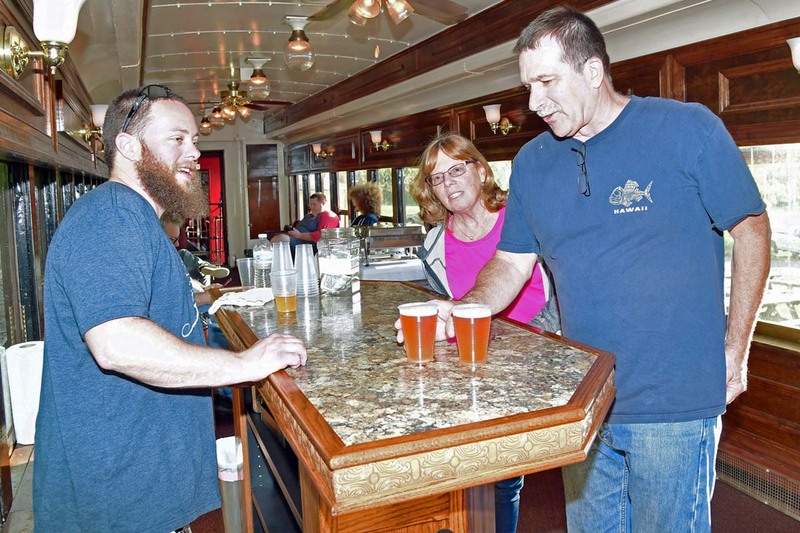 Local craft brews are served on board for your tasting pleasure on a leisurely 1½-hour round-trip through the valley. A variety of IPAs, witbeirs, saisons, porters, session stouts, lagers and ales will rotate throughout the season. Your ticket includes two different offerings of beer and a pretzel. Additional pours are available for cash. Come aboard, relax, and sip on a cold one... it's what your right arm is for! MUST BE 21+ TO RIDE.